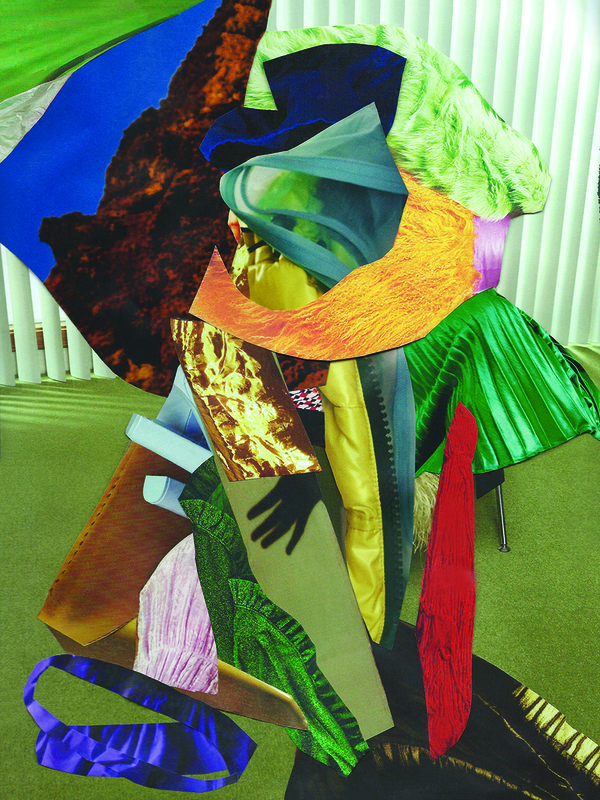 When did you start creating collages and your digital artworks? 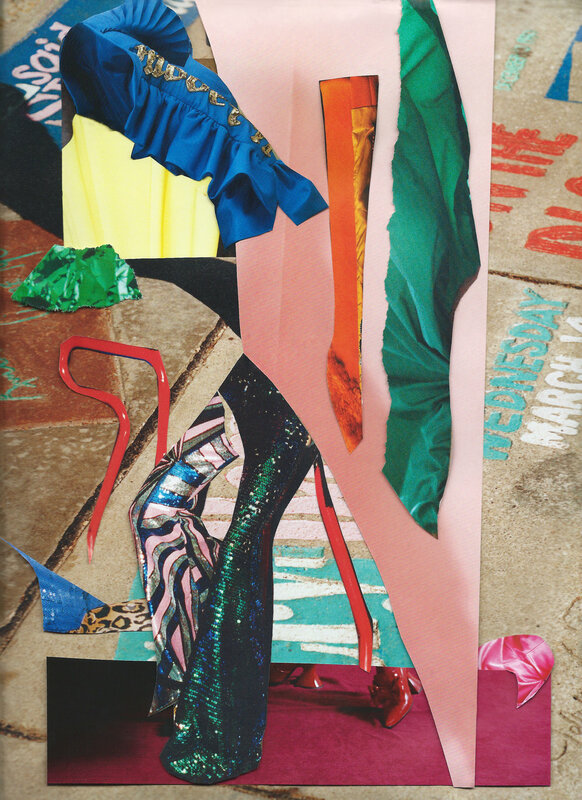 I was first introduced to collage back in 2005. My Mum had enrolled me into a Summer Arts and Crafts course at my local youth center. At the time I was incredibly reluctant to participate due to being cripplingly shy! However, to my surprise I took to the class like a duck to water. It was an instant click for me; from then on I was obsessed with the technique. Constantly practicing it wherever I could, collecting paper and hoarding magazines - to which I have amassed a huge collection. There was a span of time (mainly 2011 - 2014) where I exclusively worked with Photoshop. However - I soon grew tired of being confined to a screen. The tangibility of ripping paper and smearing glue everywhere is so much more gratifying than using digital tools in regards to my particular process. Of course I still use digital editing software to refine my work, however, I tend to use Photoshop as a secondary practice. How do you find the balance between the visions you have and the mediums you are using? My balance is often fuelled by intuition. When I approach making a new piece, I roughly follow a general direction - this tends to be driven by a colour palette that grows very naturally through picking out varied elements. This part of the process is similar to assembling a jigsaw. Objects are paired together - sometimes it works and sometimes it doesn’t! I tend to spend hours testing different combinations until I am happy with the final result. Trial and error sets the foundation for balance within my work. Being that I started experimenting with collage at a young age, I was not entirely aware of the history behind it. Growing older I naturally became curious and began researching artists and practices that I identified with. It’s imperative for me to research, discovering new artists and ideas opens up endless possibilities and this has provided me with a sense of grounding in a stylistic sense of the word. During my schooling days I remember growing endlessly tired of doing projects that revolved around Andy Warhol and Salvador Dali - though important artists, breaking out of the stringent criteria the curriculum confined me to ultimately inspired the discovery of my own style of work, as I was able to discover ideas beyond what was expected. Where do you get inspiration? Are there any particular artists? Photographers, painter’s drawers you look up to their works? Though I spend hours scrolling through the Internet researching my way through Google. I also collect millions of books and magazines. I tend to go rummaging around my favourite secondhand bookshop in Notting Hill. Through all the bric-a- brac of printed matter - I have managed to source a collection of books on Artists such as: Pipilotti Rist, Gilbert and George, Isa Genzken and Alex Da Corte. Discovering their work first hand blew my mind, mainly as these artists embodied imagery I was always looking for but could never find nor describe. It was an especially pivotal discovery of Alex Da Corte, as he encourages a sense of play and fun across the spectrum of art. Though his work can often be a conceptual maze, I like to think it’s his way of poking fun at the art world. This type of sentiment really stands out for me, as I am keen to produce work that doesn’t follow a plethora of connotative ideas. Alex Da Corte also inspired the way I source inspiration, he pioneers the conversion of ugly to beautiful, which is an idea I hold dearly. Objects that do not necessarily follow the conventional standard of beauty often intrigue me the most. Time is a very variable aspect of my process. If I have a looming deadline, I usually find the pressure of working fast enjoyable, as it pushes me to embrace mistakes and discover new ways of working efficiently - which is always a bonus! Especially when it comes to working on client based projects. However, if I am pursuing something that is personally motivated I like to take my time with it, grazing through the process. The general foundation behind making new work always follows the same routine regardless of what time constraint I have looming over my head. I will sit on my floor, and slowly cover every inch of visible surface with paper. From there, I begin to cut out little snippets that grab my attention. This part of the process is very instinctive. Once I have settled on what materials I am going to use, I then begin to construct the piece together. After the general fluster of putting together a collage has been achieved, I then scan the image into my computer for the refinement part of the process. Looking at my work from a bird eye view, it’s clear to see the collective theme that holds each piece together is my use of colour and the core abstraction that I tend to focus on. I feel that the past and present climate of image making has been focused heavily on narratives. Especially in our current state of affairs that spans across the globe; I feel art forefronts the digestion of information whilst equally bringing notions of politics and other critical subjects to light - these are important aspects. However, my personal inclination leans more towards aestheticism. Conversationally my work does not present any profoundly chin-stroking ideas. Steering away from a narrative has always been a preference of mine: as I feel we have lost the joy of being able to engage with art without attaching a big idea to it. I like to compare people viewing my artworks as you would when looking at macaroons; it seems simplistic in a sense. However, I draw this comparison as I feel when confronted with the colourful palette of these delectable puddings - you instantly start to imagine the taste, the colour transcends you into a flurry of enjoyment and the all your senses are awoken with satisfaction. These are ultimately the sentiments I would like to instill when my work is presented. I feel we have been conditioned to view art with the outcome of arriving at an idea that illustrates a narrative and sometimes this notion can be over intellectualized. It’s important for me to focus my imagery on championing visual and sensual elements. Aspects that collectively do not inhibit the viewer as more often than not art, especially in a ‘high brow’ setting can create invisible divisions amongst an audience. Enjoying art that serves purely for visual enjoyment creates a universally accessible environment and this is something I regard as very important.